Chocolate ice cream with half the butterfat, a chocolate cookie swirl,	and chocolate chips. Peanut butter ice cream with half the butterfat, cookie dough, and brownie dough. 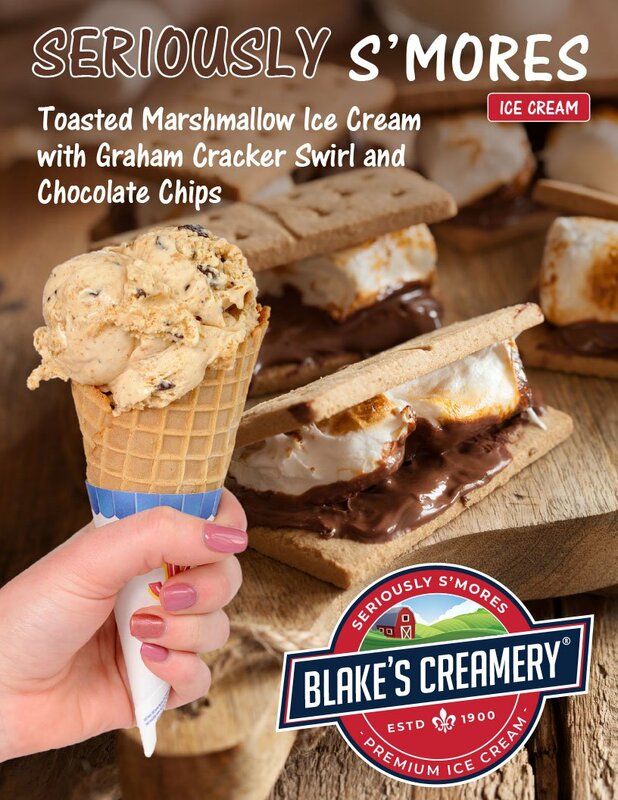 Contact Blake’s for quotes on wholesale ice cream (and related supplies) delivery. 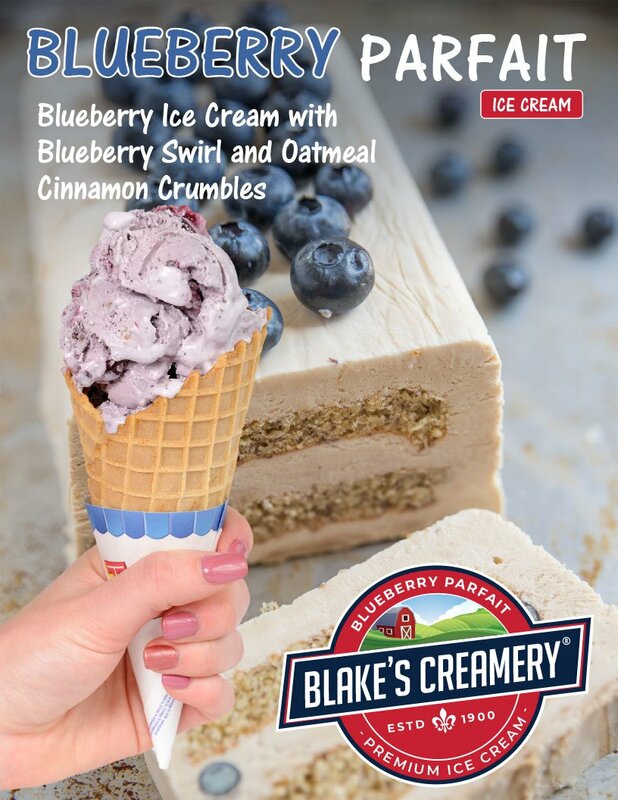 Try our new flavors for 2018… Blueberry Parfait, Seriously S’Mores, and more! 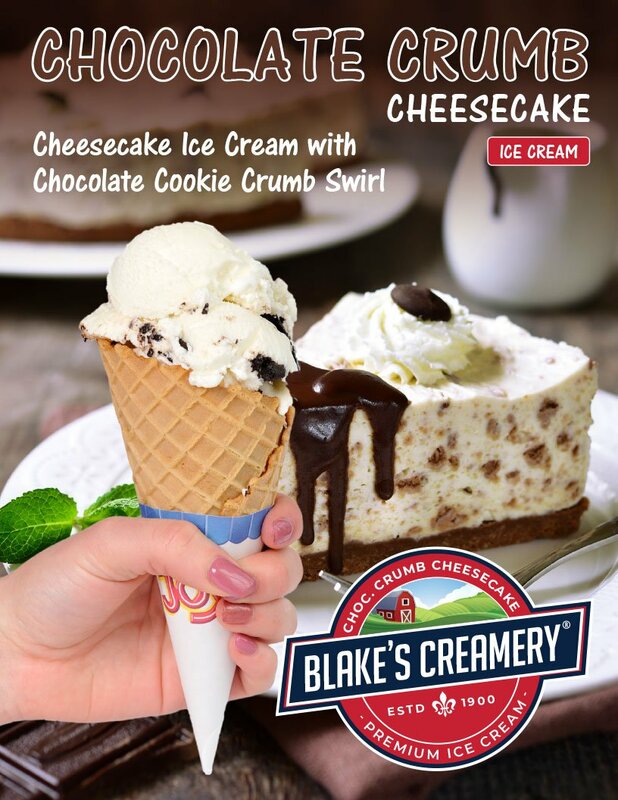 Check out the wide variety of unique flavors we have to offer. 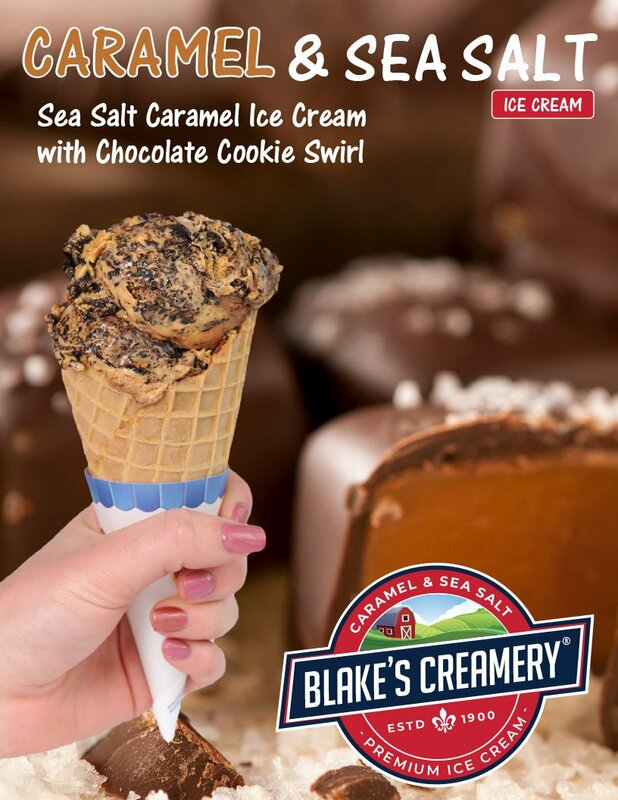 Deliver complete line of ice cream, toppings, supplies and dairy products – one order, one truck, one delivery! Hungry? Quality homemade meals and ice cream at our two Manchester restaurants.